When it comes to caring for children with special needs like Autism Spectrum Disorder, parents have to be equipped with a higher emotional strength and few additional skills to handle things better. It is not easy but you must know there are multiple ways at your disposal to help your child thrive. At the same time parents will need good support and more critically they must take good care themselves in order to be able to cater to the needs of the child. This is the reason why CAPAAR, the Best Center for Autism in Bangalore offering some really useful tips that will make your journey among the challenges go smoother. As a parent it can be disturbing quite disturbing to find out that your child has Autism Spectrum Disorder for the first time. It’s quite natural you start facing questions like how best to get your child treated and what treatment option will really work for him? What is the nature of this disorder – is it really curable since your social circle and nearby medicos may offer conflicting opinions on those aspects which are critical to you leaving you nervous on what to do next? Best Center for Autism in Bangalore | CAPAAR. Our Best Doctor for Autism in Bangalore, Dr. P. Sumitha Hemavathy (PT) says that ASD is certainly a problem but it can be transformed into an opportunity to bring out the unique and uncommon skills in your child that are hard to find in other children. He may display interesting traits like high creativity when offered the right forms of treatment plan comprising of behavioral therapy and speech and language programs. It’s basically addressing the issues the aspects those hinder the development of your child with specialized care and support empowering him to shine brighter. Every minute wasted in panic is going has the potential to negatively impact your child’s health. The faster you approach the specialists the higher are the success of treatment. Quick decisions taken here can really leave a positive impact on your child’s development and reduce the symptoms. 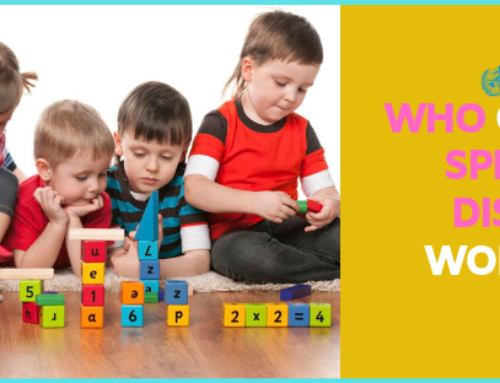 Best Center for Autism in Bangalore| CAPAAR. 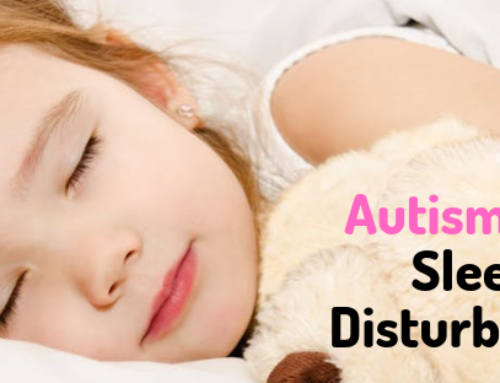 Our Doctors will suggest that as a Autism child parent you should make yourself well aware on Autism disorder as it will helps you in the months and years to come in caring for your child. We hope the next aspects we are going to discuss will enable you to take care of your child more effectively keeping your life at ease as well. Work towards Creating Environmental Consistency. Children with Autism will have a hard time adjusting to new environments. For example if they have learnt and use sign language at the special programmes they may not use it at home. Which is parents creating a consistent and congenial environment for the children to apply what they have learnt in different environment without any hesitation is super critical. This is made possible when you consciously stay consistent with your child in a way you interact. It is proven that when children with Autism are provided with well structured routine they naturally tend to reach their highest potential. Any form of disruptions may impact them negatively. And such disruption will need an extra effort from parents end to prepare their children in advance. When we say routine it can be bedtime, schooling or even meals. Whenever you notice that your child does something which is good make an effort to praise them and reward them instantly for that action, even try to be a part of it. Let it be when they act appropriately or even demonstrate a new skill they have picked up. Such positive reinforcements have a wonderful impact on the child in the long term. You may have seen Sign boards saying Safe Assembly Point in various places. Though not literally you have to design one for your child within your homes in order let him feel safe and relax at the same time. And when are talking about a safe zone at home we mean creating boundaries probably with the use of colorful tapes that offer visual cues and adding labels and pictures for easy identification of articles and boundaries. Remember we discussed something like transforming challenges into opportunities. It holds true when you are dealing with a child with Autism you eventually end up learning a new way of communication or language itself which you were unaware of earlier.How ? Since your child is special your non-verbal modes of communication like your eye contact, your voice, Body language use and even your touch becomes special while you communicate with him and you gradually start learning this new language itself. Children in general will communicate with you anyways whether they are hungry or need something. However the scenario can be different when it comes to children with Autism since they may try to communicate by means of different kinds of sounds they make, variations in facial expressions and other gestures they use to indicate their needs. You as a parent can get these cues and respond to these well only when you start observing things more keenly. Your patience, skills and a thorough understanding of Autism based behavior come into test when you are dealing with the children with Autism. When you understand Autism well you will be able to figure out that the tantrums by the children are their manner of displaying their frustration in order to seek parents’ attention. And when we take our own example as children its natural to feel upset when we feel being misunderstood or being ignored so is the case with these children as well. When it comes to autism over sensitivity to things or under sensitivity is a symptom. Hypersensitiveness to sound, light and smell are common. However in other instances it could be the opposite. Now as a parent you should be well equipped to identify those elements which have an impact and differentiate among them which cause a negative behavioral change in your child. This helps you in dealing with the possible adverse situations in the most effective manner. Since we are part of the society its quite expected to receive multiple treatment suggestions and knowledge exchanges that might confuse you. However as a parent we must not forget the fact that we have the Best knowledge of what our child’s needs are and it should be your decision and approach to address them in the best manner possible. Secondly since each child is unique naturally the special needs also tend to be unique so no single fix for all disorders will work here. They have to be personalized for your child in order to get the best results. What part of the child’s behavior needs immediate attention? What is he good at and where he struggles the most? What is the easiest mode of learning which your child loves and prefers? What activities best engage your child? There are Autism treatments focus on Reduction of behavior patterns that cause problems or are problematic in their nature and improving social and communication skills. The other approaches of treatment focus towards problems with sensory integration, emotional imbalances. It is not necessary that you have to opt only one form of treatment for your child – you may explore multiple options that offer the best recovery. You should identify those behavior patterns that need priority treatment. You should know as a parent of a child with special needs like Autism, you are not alone. Since now know its physically and emotionally a challenging you must take good care of yourself in order to do good for your child in need. ASD Support Groups – These are meant to provide you with all the advice, detailed information and mutual support in your journey from people who are facing a similar challenge. Joining such ASD Support groups reduces the kind of isolation you may have felt while dealing with the ASD and take you a long way comfortably. Respite Care – Yes you don’t have to do everything all alone. You can look for a temporary care giver option at a respite care centre giving you the much needed break from the stress so that you come back fresh and do more in a better way for your child. 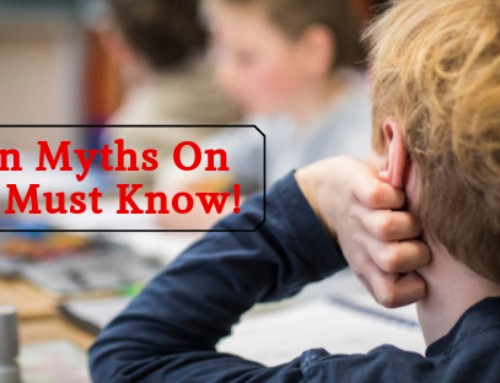 10 Common Myths On ADHD You Must Know! 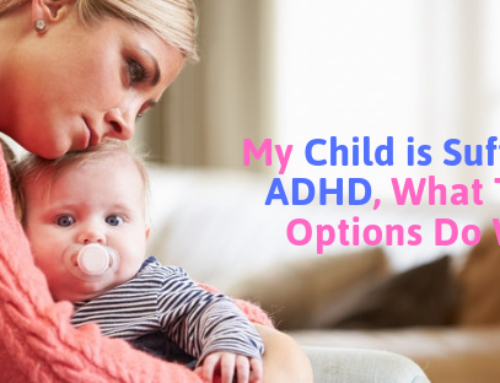 My Child is Suffering from ADHD, What Treatment Options Do We Have?